We are excited to share that on April 16th, 2019, we shared safety and tolerability data from our Phase 1 clinical trial evaluating investigational suvodirsen (WVE-210201) in boys with Duchenne muscular dystrophy. The results from this trial support progressing to a Phase 2/3 clinical trial, which we intend to initiate in July 2019, so we wanted to review what comes next. The Phase 1 clinical trial was a placebo-controlled, single ascending dose study to evaluate safety, tolerability and pharmacokinetics of suvodirsen. Thirty-six boys with Duchenne muscular dystrophy amenable to exon 51-skipping therapy were given a single infusion of suvodirsen or placebo and followed by their clinical teams for 85 days. The results of the study demonstrated that a single infusion of suvodirsen was generally safe and well- tolerated at doses up to and including 5 mg/kg and support initiation of a Phase 2/3 trial to evaluate efficacy and safety. The Phase 2/3 clinical trial, called DYSTANCE 51, is a global, multi-center, placebo- controlled study designed to evaluate the efficacy and safety of suvodirsen in boys with Duchenne muscular dystrophy amenable to exon 51 skipping. The trial design has been accepted into the FDA’s Complex Innovative Trial Design (CID) Pilot Program. Through the CID pilot program, our goal is to reduce the number of patients required for the study, thereby minimizing the number of patients required in the placebo treatment arm and potentially accelerating completion of the trial. For more information on this study please contact us at clinicaltrials@wavelifesci.com or visit ClinicalTrials.gov here (ClinicalTrials.gov Identifier: NCT03907072). Our deepest thanks go to all the courageous boys who participated in the Phase 1 study and the families that support them. In addition, we are ever grateful to all of those in the Duchenne community, including the families, advocacy partners, regulators, and clinicians who have provided invaluable guidance on this program from the very beginning. What’s next for the suvodirsen clinical program? Suvodirsen is currently being evaluated in an ongoing multi-dose open-label extension (OLE) study with boys from the Phase 1 clinical trial. We are also planning to initiate a global Phase 2/3 efficacy and safety trial, called DYSTANCE 51. DYSTANCE 51 is a multicenter, randomized, double-blind, placebo-controlled clinical trial that will enroll ambulatory boys 5 – 12 years of age with Duchenne muscular dystrophy amenable to exon 51 skipping. What is suvodirsen? Suvodirsen (formerly known as WVE-210201) is an investigational exon 51 skipping stereopure antisense oligonucleotide. Exon skipping is an approach that may restore the DMD mRNA reading frame in people with amenable mutations, resulting in restoration of dystrophin protein. Suvodirsen was developed using PRISMTM, our proprietary discovery and drug development platform. Suvodirsen has been granted orphan drug designation for the treatment of DMD by the U.S. Food and Drug Administration (FDA) and the European Commission, as well as rare pediatric disease designation by the FDA. What is the status of Wave’s other exon skipping research? We are advancing a lead candidate for exon 53 are we are actively pursuing research programs designed to skip exons 44, 45, 52, 54 and 55. We are excited to share the news of our development programs with you and wanted to reach out to introduce ourselves and provide you information we hope you find helpful. The Patient Advocacy and Engagement department is part of the Development team at Audentes. This means that we are in the same part of the organization as other functions such as Medical Affairs and Clinical Development. The Head of the Patient Advocacy and Engagement department is Kimberly Trant, and Chelsea Karbocus is a Senior Manager on the team. We have responsibility globally for patient-related advocacy and engagement activities. Our department is under the executive leadership of our Chief Medical Officer, Dr. Suyash Prasad, who is a pediatrician by background. What experience does Audentes have in genetic medicine for rare neuromuscular conditions? What approach is Audentes planning to use for development in DMD? How does Audentes view the role of the patient community? What is the goal of Patient Advocacy and Engagement at Audentes? Our goal is to deliver meaningful gene therapy clinical development programs, educational materials, and resources to support the rare disease community. We are honored to work with the Duchenne muscular dystrophy patient community and look forward to championing your perspective with our teams at Audentes. As we begin discussions with the patient community, we will be listening for and learning about the types of information and resources we can provide that are most meaningful and relevant to your needs. Pratteln, Switzerland, March 28, 2019 - Santhera Pharmaceuticals (SIX: SANN) announces its intention to file an application for Conditional Marketing Authorization (CMA) for Puldysa® (idebenone) for the treatment of respiratory dysfunction in Duchenne muscular dystrophy (DMD) with the European Medicines Agency (EMA). Following scientific advice from EU regulatory authorities, completion and filing of the CMA for Puldysa in DMD is planned for the second quarter of 2019. Santhera has expanded and substantiated its previous regulatory dossier with additional clinical data from patients treated with idebenone, new analyses of previously submitted data and new comprehensive natural history data, addressing requests from regulatory authorities. In its entirety, these new data demonstrate clinically relevant patient benefits and sustained therapeutic efficacy during treatment with idebenone for up to six years in patients with DMD. The new data package and filing strategy have been discussed in several pre-submission meetings with national regulatory authorities. The initial indication intended for Puldysa is to treat respiratory dysfunction in patients with DMD who are not using glucocorticoids. The filing will be based on data from Santhera's Phase II (DELPHI) study, the long-term DELPHI-Extension study, the pivotal Phase III (DELOS) study [1-5] and the recently completed SYROS study, a collection of long-term data from patients who completed the DELOS study and continued to be treated with idebenone for up to six years . Clinical trial data demonstrate therapeutic potential for idebenone in the treatment of respiratory dysfunction in patients with DMD. Pivotal data from the Phase III (DELOS) study, which met its primary endpoint, demonstrated clinically relevant treatment effects of idebenone compared to placebo on respiratory function outcomes [1-5]. Supportive evidence comes from the Phase II (DELPHI) study and its two-year open label extension study (DELPHI-E). Idebenone has the potential to delay the time to clinically relevant milestones of disease progression. Peak expiratory flow as percent predicted (PEF%p) is a sensitive and early marker of respiratory function decline in DMD. Analysis of natural history data showed that the treatment benefit observed with idebenone in the DELOS study on PEF%p could, when extrapolated, result in a delay in the initiation of assisted ventilation by three years with continued treatment, which is of high clinical relevance. The beneficial treatment effects of idebenone are sustained year on year for up to six years. The annualized decline in forced vital capacity percent predicted (FVC%p) and PEF%p remained consistently lower for a period of up to six years compared to data from a matched group of untreated patients enrolled in the CINRG natural history study. This long-term data from the SYROS study further support the potential for idebenone to modify the course of respiratory function decline and delay the time to clinically relevant milestones. Idebenone has been shown to support preservation of respiratory function. Treatment with idebenone also reduced the risk of important patient-relevant outcomes, including bronchopulmonary adverse events and hospitalizations due to respiratory causes as demonstrated in the pivotal study (DELOS) and maintained in the long-term data collection (SYROS). "Our team has worked hard to assemble new data which substantially strengthen our regulatory dossier for Puldysa as a potential treatment for DMD," said Kristina Sjöblom Nygren, MD, Chief Medical Officer and Head of Development at Santhera. "The continued dialogue with regulators and clinical experts in DMD has provided the necessary guidance which enabled us to close earlier data gaps by bridging clinical trial results to tangible and highly relevant patient benefits." 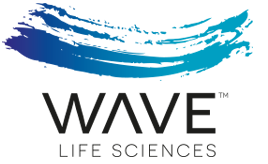 "The choice for a conditional marketing authorization pathway was acknowledged by regulators and we are in final preparations to submit the filing dossier," added Thomas Meier, PhD, Chief Executive Officer of Santhera. "The regulatory path of a conditional marketing authorization requires us to submit a full dossier with a new tradename, Puldysa®, to distinguish this product from Raxone® which was previously approved as treatment for patients with Leber's hereditary optic neuropathy." The European Medicines Agency (EMA) may grant a conditional marketing authorization for a new treatment to address unmet medical needs for patients. Medicines are eligible for conditional approval if they are aimed at treating seriously debilitating or life-threatening diseases. This includes orphan medicines. The available data must indicate that the medicine's benefits outweigh its risks and the applicant should have a development plan in place to provide additional clinical data. Idebenone has been granted orphan drug designation for the treatment of DMD by European, US, Swiss and Australian authorities. DMD is one of the most common and devastating types of progressive muscle weakness and degeneration starting at an early age and leading to early morbidity and mortality due to respiratory failure. It is a genetic, degenerative disease that occurs almost exclusively in males with an incidence of up to 1 in 3,500 live male births worldwide. DMD is characterized by a loss of the protein dystrophin, leading to cell damage, impaired calcium homeostasis, elevated oxidative stress and reduced energy production in muscle cells. With age, progressive respiratory muscle weakness affecting thoracic accessory muscles and the diaphragm causes respiratory disease, impaired clearance of airway secretions, recurrent pulmonary infections due to ineffective cough, and eventually respiratory failure. There is currently no treatment approved for slowing loss of respiratory function in patients with DMD. DELOS was a Phase III, double-blind, placebo-controlled 52-week study which randomized 64 patients, not taking concomitant steroids, to receive either idebenone (900 mg/day) or matching placebo. The study met its primary endpoint, the change from baseline in peak expiratory flow (PEF) expressed as percent of predicted, which demonstrated that idebenone can slow the loss of respiratory function. Supportive data for idebenone were shown in the Phase II double-blind, placebo-controlled DELPHI study and its 2-year open-label extension study (DELPHI-E). SYROS was a prospectively planned, retrospective collection of long-term respiratory function data from 18 patients who completed the DELOS study and subsequently received idebenone (900 mg/day) under Expanded Access Programs (EAPs). The SYROS study showed that the previously observed beneficial effect of idebenone in reducing the rate of respiratory function decline was maintained for up to six years during treatment. Santhera Pharmaceuticals (SIX: SANN) is a Swiss specialty pharmaceutical company focused on the development and commercialization of innovative medicines for rare and other diseases with high unmet medical needs. The portfolio comprises clinical stage and marketed treatments for neuro-ophthalmologic, neuromuscular and pulmonary diseases. Santhera's Raxone® (idebenone) is authorized in the European Union, Norway, Iceland, Liechtenstein, Israel and Serbia for the treatment of Leber's hereditary optic neuropathy (LHON) and is currently commercialized in more than 20 countries. For further information and to contact Santhera, please visit www.santhera.com. CAMBRIDGE, Mass., March 28, 2019 (GLOBE NEWSWIRE) -- Sarepta Therapeutics, Inc. (NASDAQ:SRPT), the leader in precision genetic medicine for rare diseases, today announced results from its interimanalysis of muscle biopsy endpoints comparing casimersen treatment to placebo in the ESSENCE study, also known as study 4045-301. ESSENCE is a global, randomized double-blind, placebo-controlled Phase 3 study evaluating the efficacy and safety of casimersen and golodirsen in patients amenable to skipping exons 45 or 53, respectively. After soliciting feedback from the FDA, Sarepta conducted an interim analysis for levels of dystrophin protein expression in those patients who are amenable to exon 45 skipping to determine the potential for a New Drug Application (NDA) filing based on dystrophin as a surrogate endpoint. With these results, the Company intends to work toward submission of an NDA for casimersen in the middle of 2019. Patients amenable to exon 45 skipping were randomized to receive a once-weekly intravenous (IV) infusion of casimersen dosed at 30mg/kg (N=27) or placebo (N=16) for 96 weeks. The interim analysis was performed on data from biopsies of the bicep muscle at baseline and on-treatment at Week 48.
blot) increased to 1.736% of normal compared to a mean baseline of 0.925% of normal (p<0.001). skipping exon 45 (p<0.001) over their baseline levels, representing a 100% response rate. was observed (Spearman rank correlation = 0.635, p<0.001). - The study is ongoing and remains blinded to collect additional efficacy and safety data. Dystrophin is a protein found in muscle cells that, while present in extremely small amounts (about 0.002 percent of total muscle protein), is crucial in strengthening and protecting muscle fibers. A devastating and incurable muscle-wasting disease, DMD is associated with specific errors in the gene that codes for dystrophin, a protein that plays a key structuralrole inmuscle fiber function. Progressive muscle weakness in the lower limbsspreadsto the arms, neck and other areas of the body. The condition is universally fatal, and death usually occurs before the age of 30 generally due to respiratory or cardiac failure. Casimersen uses Sarepta Therapeutics’ proprietary phosphorodiamidate morpholino oligomer (PMO) chemistry and exon-skipping technology to skip exon 45 of the DMD gene. Casimersen is designed to bind to exon 45 of dystrophin pre-mRNA, resulting in exclusion, or “skipping”, of this exon during mRNA processing in patients with genetic mutations that are amenable to exon 45 skipping. Exon skipping is intended to allow for production of an internally truncated dystrophin protein. The ESSENCE study is a double-blind, placebo-controlled, multi-center study to evaluate the efficacy and safety of casimersen (SRP-4045) and golodirsen (SRP-4053). Eligible patients with out-of-frame deletion mutations amenable to exon 45 or 53 skipping are randomized to receive once weekly intravenous (IV) infusions of 30 mg/kg SRP-4045 or 30 mg/kg SRP-4053 respectively (combined-active group) or placebo for up to 96 weeks. This is followed by an open label extension period in which all patients will receive open-label active treatment for 48 weeks, up to Week 144 of study. Clinical efficacy is being assessed at regularly scheduled study visits, including functional tests such as the six-minute walk test (6MWT). All patients undergo a muscle biopsy at baseline and will undergo a second muscle biopsy either at Week 48 or Week 96. Safety is being assessed through the collection of adverse events, laboratory tests, electrocardiograms (ECGs), echocardiograms (ECHOs), vital signs, and physical examinations throughout the study. Sarepta is at the forefront of precision genetic medicine, having built an impressive and competitive position in Duchenne muscular dystrophy (DMD) and more recently in gene therapies for 5 Limb-girdle muscular dystrophy diseases (LGMD), Charcot-Marie-Tooth (CMT), MPS IIIA, Pompe and other CNS-related disorders, totaling over 20 therapies in various stages of development. The Company’s programs and research focus span several therapeutic modalities, including RNA, gene therapy and gene editing. Sarepta is fueled by an audacious but important mission: to profoundly improve and extend the lives of patients with rare genetic-based diseases. For more information, please visit www.sarepta.com. Today we announced our intention to move to a higher dose of SGT-001 in IGNITE DMD, our Phase I/II clinical trial evaluating SGT-001 microdystrophin gene therapy as a potential treatment for Duchenne. This decision is based on our initial look at the muscle biopsies from the first three boys who received the starting dose of SGT-001 in the clinical trial. You can find the press release here. We wanted to take a moment to share with the Duchenne community what these findings mean and how we are moving forward. First, we want to let you know that all three boys who received SGT-001 continue to do well, and we are following them per our study protocol. As for the biopsy data, we were able to see microdystrophin expression across some measures, although it was low. These initial results support moving forward with evaluation of higher doses in the clinical trial. From the beginning, IGNITE DMD was designed as a dose escalation study meaning it is intended to evaluate SGT-001 at a series of progressively higher dose levels. This design allows us to uncover what may work best in boys with Duchenne in a thoughtful way. All the data we have from preclinical studies at different doses of SGT-001 suggest that microdystrophin expression will be greater at higher SGT-001 doses. We are now working to expedite the planned dose escalation strategy that is outlined in the clinical trial protocol and begin evaluating a higher dose of SGT-001 in IGNITE DMD as soon as possible. Importantly, we have enough drug to do this successfully and without delay. We believe SGT-001 has the potential to be a transformative therapy for patients with Duchenne, and we remain fully committed to moving forward as rapidly as possible. We are extremely grateful to the patients and families who choose to participate in our clinical efforts, and in all clinical studies aimed at improving the lives of patients with Duchenne. We have included below some questions and answers that may help clarify this news. We look forward to providing an update soon. Why didn’t you see higher dystrophin expression with the initial dose of SGT-001? What gives you confidence that a higher dose will work? As you might know, IGNITE DMD was designed to evaluate multiple doses of SGT-001. You can see this from the clinical trial design image below. One goal of dose escalation studies with new and innovative technologies is to start with a dose level that maximizes safety while providing the potential for efficacy and then proceed to higher doses in a thoughtful manner to safely achieve maximum efficacy. To select our starting dose, we studied SGT-001 extensively in preclinical disease models. Now we are able to combine our preclinical understanding of SGT-001 at higher doses with the data we communicated today to support the expectation that a higher dose will result in higher microdystrophin expression. We are actively working with the appropriate groups to enable dose escalation as quickly as possible. With thoughtful planning, we already have the operations and drug supply in place to dose at higher levels without delay. We anticipate this to be a relatively quick process and will provide an update as soon as we can. Can you update the community on the clinical trial site? Our partnership with the University of Florida on IGNITE DMD remains strong and we continue to be profoundly thankful for Dr. Barry Byrne and his dedicated team. What happens with the patients enrolled or waiting to be enrolled in IGNITE DMD? The boys involved in the study are our number one priority. All activities at the University of Florida will continue as planned. The only change is that future patients may now receive a higher dose of SGT-001. What does this mean for the boys who have already been dosed? First and foremost, these boys continue to do well, and the early signals of microdystrophin expression, albeit low, are encouraging. We will continue to follow them per our study protocol to understand potential impact of SGT-001 on disease progression, as well as for long term safety. For more, please visit solidbio.com. Italfarmaco shares its Community Newsletter including information about Givinostat, the EPIDYS trial, and events calendar. Click on the image to read the full newsletter. We would like to share an exciting update about our lead Duchenne muscular dystrophy (DMD) clinical program. This morning, Wave Life Sciences announced positive safety and tolerability results from the WVE-210201 Phase 1 clinical trial in boys with Duchenne muscular dystrophy who are amenable to exon 51 skipping. The data from this trial support our moving forward with a Phase 2/3 clinical trial of WVE-210201, which we intend to initiate in 2019, and propel us towards achieving our collective goal of inducing meaningful, natural dystrophin expression in boys with DMD. For more information, we invite you to read our announcement here. Importantly, thank you to all of the boys and their families who are participating in this Phase 1 trial and its open-label extension, as well as the advocacy organizations that have provided invaluable guidance and collaboration along the way. Your contributions and partnership are deeply appreciated. At Wave Life Sciences, we are focused on delivering transformational therapies for patients with serious, genetically-defined diseases. Today’s announcement has taken us one step closer to achieving this objective. We look forward to continuing our engagement with you as we work together to make a difference for people impacted by Duchenne. Santhera will hold a webcast tomorrow, November 21, 2018 at 13:00 CET, 12:00 GMT, 07:00 EST. Details at the end of statement. Pratteln and Allschwil, Switzerland, November 20, 2018 – Santhera Pharmaceuticals (SIX: SANN) and Idorsia Ltd (SIX: IDIA) have entered into an agreement under which Santhera will acquire the option to exclusively in-license, by way of sub-license, the first-in-class dissociative steroid vamorolone in all indications and all countries worldwide except Japan and South Korea. Initial clinical data suggest that vamorolone has the anti-inflammatory efficacy of steroids with reduced steroid-associated safety concerns, which would represent a significant improvement over current standard of care glucocorticoid therapy in patients with Duchenne muscular dystrophy (DMD), vamorolone’s lead indication. Vamorolone – first-in-class dissociative steroid Vamorolone is a first-in-class drug candidate that binds to the same receptors as glucocorticoids but modifies the downstream activity of the receptors. This has the potential to ‘dissociate’ efficacy from typical steroid safety concerns and therefore could replace existing glucocorticoids, the current standard of care in children and adolescent patients with DMD. There is significant unmet medical need in this patient group as high dose glucocorticoids have severe systemic side effects, which limit long-term usage. Vamorolone was discovered by US-based ReveraGen BioPharma Inc. and has been developed with participation in funding and design of studies by 12 international non-profit foundations, the US National Institutes of Health, the US Department of Defense and the European Commission’s Horizon 2020 program. Actelion had acquired an option to license the product in 2016. This option was subsequently transferred to Idorsia following the acquisition of Actelion by Johnson & Johnson in 2017. Vamorolone in DMD Following single and multiple ascending dose clinical pharmacology studies (VBP15-001) in healthy volunteers  vamorolone completed a Phase IIa study (VBP15-002) in 48 boys with DMD aged 4 to <7 years. Vamorolone was reported to be safe and well tolerated up to 6.0mg/kg/day, around 10 times the standard glucocorticoid dose . A 6-month extension study (VBP15-003) also demonstrated dose- dependent improvement in timed function tests which was comparable to standard glucocorticoid treatment. The Agreement Under the terms of the agreement, Idorsia will grant Santhera the option to obtain an exclusive sub- license for vamorolone in all indications and all territories except Japan and South Korea. Idorsia will receive as consideration for entering into the agreement 1,000,000 (one million) new registered shares from Santhera’s existing authorized share capital and an upfront cash component of USD 20 million, of which USD 15 million is intended to compensate Idorsia for its investment into the Phase IIb VISION-DMD study currently conducted by ReveraGen. While the cash component of the consideration is subject to financing, the share component of the consideration is unconditional and, like the cash component, not redeemable under any circumstances. As a consequence of the transaction, Idorsia will become the largest shareholder in Santhera with a 13.3% equity position. The shares to be issued to Idorsia will be subject to a lock-up undertaking expiring if and when vamorolone receives marketing authorization in DMD in the United States. Santhera may exercise the option upon receipt of data from the Phase IIb VISION-DMD study (VBP15-004) and following a one-time consideration to Idorsia of USD 30 million. For the full Press Release please click here. For further information, please visit santhera.com. Sarepta Therapeutics reports financial results for the third quarter of 2018. Please read Sarepta’s quarterly advocacy newsletter discussing both exciting progress and disappointments over the past couple months in terms of drug development for our Duchenne community. At the World Muscle Society in Argentina today, Dr. Jerry Mendell of Nationwide Children’s Hospital shared additional data relating to our micro-dystrophin gene therapy program. In particular, as a follow up to his presentation of the first three patients at our R&D Day in June of this year, Dr. Mendell today shared micro-dystrophin results for the fourth patient and provided positive functional signals for all patients. It is important to remember that while we are very encouraged by all of the results we have to date, these are early days relating to our first four patients. It is important that we quickly commence a controlled trial to confirm these results. Fueled by our preliminary data, we are moving with a sense of urgency to move to a study that, if successful, could bring this therapy to those patients who can benefit from it. As mentioned in June, the next micro-dystrophin trial will take place in the United States, will be carried out by Nationwide Children’s Hospital, and will be limited in size. Sarepta is mapping ways to expand the gene therapy clinical program to a broader population with considerations of study inclusion and geography. We will update the community about the plans as we finalize them. Given the volume of inquiries received about this investigational effort, we know that there is a high level of anticipation within the worldwide Duchenne community surrounding gene therapy. Physicians and advocacy groups alike have expressed hope that families will stay focused on current treatment plans and investigational options selected in consultation with their healthcare team. Let us once again be reminded that as encouraged as we are, these are preliminary results and we must continue to follow our initial patients and commence a controlled trial. But also know this, we are investing our energy, resources and creativity to moving the development forward as fast as is possible, planning meetings with the FDA and other agencies around the world to take their input, building a compelling access and reimbursement package, and establishing sufficient manufacturing capacity to fully serve the community if our program is successful. I will provide additional updates as the program moves forward. CAMBRIDGE, Mass., September 24, 2018 (GLOBE NEWSWIRE) – Sarepta Therapeutics, Inc. (NASDAQ:SRPT), a commercial-stage biopharmaceutical company focused on the discovery and development of precision genetic medicine to treat rare neuromuscular diseases, announced today that the Food and Drug Administration (FDA) has lifted the clinical hold for the Company’s Duchenne muscular dystrophy (DMD) micro-dystrophin gene therapy program. Sarepta previously announced on July 25, 2018, that the FDA placed the program on clinical hold due to the presence of trace amounts of DNA fragment in research-grade third-party supplied plasmid in a manufacturing lot. In response, and in collaboration with Nationwide Children’s Hospital, an action plan was developed and submitted to the FDA, including an audit of the plasmid supplier and a commitment to use GMP-s plasmid for all future production lots. Please read the following community letter from Douglas S. Ingram, President and Chief Executive Officer of Sarepta Therapeutics, Inc., regarding the Committee for Human Medicinal Products (CHMP) in Europe’s negative opinion for eteplirsen. This morning Sarepta announced that following its request for re-examination, the Committee for Human Medicinal Products (CHMP) in Europe issued a negative opinion for eteplirsen. While we recognized the probability of success was low, we committed our full resources and energy to this re-examination because we believe that the European Duchenne community deserves access to eteplirsen. We are grateful for your insights, contributions and thoughtful engagement during this process. We also appreciated the open additional dialogue and advice we received from the CHMP, who signaled an openness to considering a regulatory pathway that could balance the needs of patients and their families with the requirements for additional supportive data. For eteplirsen, our next step is to initiate a request for follow up scientific advice, which we plan to do in 2019. Given our discussions and commitment to the Duchenne community, we will continue to engage the European Medicines Agency (EMA) and explore the most appropriate path forward for eteplirsen and our other investigational medicines. We will seek scientific advice for our clinical programs as we continue to advance our pipeline of Duchenne therapies, including next-generation PPMO RNA therapy and the micro-dystrophin gene therapy candidate. Despite today’s news, we continue to believe that there is a path forward in Europe to bring new therapies that can improve the lives of individuals living with Duchenne. Sarepta will continue to sponsor clinical trials in Europe. The ESSENCE trial is still enrolling in Europe as a method to understand the safety and efficacy of golodirsen and casimersen. There is also an eteplirsen study focused on individuals with Duchenne who are 6 months-48 months old in process. We will soon be initiating our high dose eteplirsen study, as well as trials for our next generation PPMO candidates in Europe. We look forward to continued engagement as we advance these programs together. Please read the following Community Letter pertaining to Roche/Genentech's RG6206 program. By now, many have heard about Pfizer’s decision to stop their clinical studies of domagrozumab in Duchenne Muscular Dystrophy. We have received questions as to whether Pfizer’s decision has an impact on our clinical development program of RG6206 in Duchenne. RG6206 is an investigational anti-myostatin adnectin that is designed to block the activity of myostatin and is given subcutaneously (by injection under the skin). The safety and efficacy of RG6206 in ambulatory boys (6-11 years old) is being evaluated in the Phase 2/3 SPITFIRE clinical study (www.clinicaltrials.gov reference NCT03039686, Roche study WN40227). Enrollment in the SPITFIRE clinical study is ongoing globally, and there are no planned changes to the study or its timelines as a result of Pfizer’s recent decision. When evaluating investigational therapies, individual clinical studies are designed to address questions of safety and/or efficacy in a way that is specific and unique to the investigational molecule being studied. This means that studies with different study designs cannot be easily or directly compared. As such, it is not possible to draw comparisons or conclusions about RG6206 based on studies of other molecules with different study designs. We are very grateful and appreciate the continuous partnership of the Duchenne community and would like to extend our thanks to all study participants and their families. Regarding your ongoing participation in the SPITFIRE study, or if you are in the screening phase, please contact your study physician. If you are not in the SPITFIRE study, but have questions about RG6206, please contact me at elena.zhuravleva.ez1@roche.com. Today, Pfizer announced the disappointing news that it is discontinuing its clinical studies of Domagrozumab. Please read their letter and press release below for more information. to note that the studies were not discontinued for safety reasons. (PUL). For more information, please visit www.clinicaltrials.gov (NCT02310763). scientific knowledge which may enable the development of new therapies for patients. All clinical sites participating in the domagrozumab DMD studies have been provided with instructions for actions to take with enrolled participants. Patients and caregivers who have questions regarding their study participation should speak with their study physician for more information. Pfizer will share additional information about these results with the community when we are able. collaborated with us on this important research. will continue to review the data to better understand any insights they may provide, and will share results with the scientific and patient community. PhD, Senior Vice President and Chief Scientific Officer, Pfizer Rare Disease Research Unit. associations and the community is critical to finding innovative therapies for these diseases. (with the primary analysis after one year); all subjects used background corticosteroid therapy. boys, with incidence of 1 in every 3500 to 5000 live male births each year. 2 , 3 Children with DMD typically present with signs of weakness, including late walking, trouble getting up, and difficulty running or climbing stairs, usually manifesting in early childhood between the ages of 1 and 4 years. 4 The progressive muscle degeneration leads to a loss of the ability to walk in the early teenage years, on average. Weakness of respiratory muscles ultimately leads to use of mechanical ventilatory support, and weakness in cardiac muscle involvement results in cardiomyopathy. hematology, neuromuscular, and inherited metabolic disorders. Error! Bookmark not defined. medicines and the hope of cures. wellness, prevention, treatments and cures that challenge the most feared diseases of our time. @Pfizer_News , LinkedIn , YouTube and like us on Facebook at Facebook.com/Pfizer . 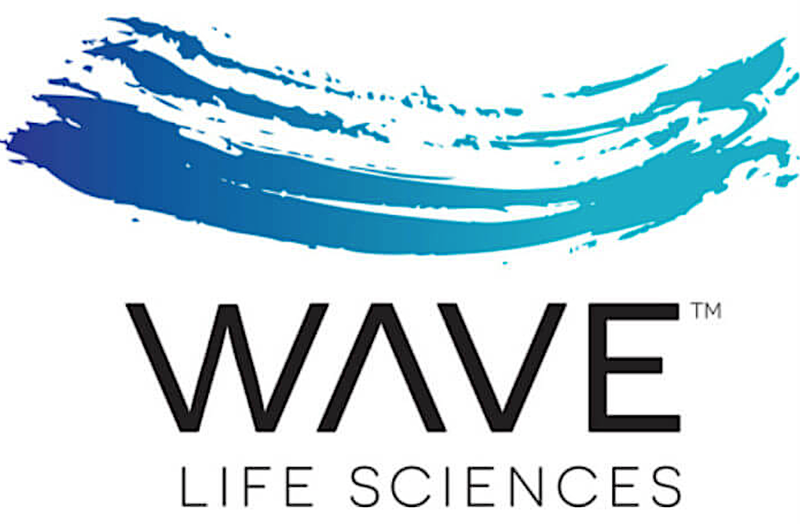 CAMBRIDGE, Mass., Aug. 16, 2018 (GLOBE NEWSWIRE) -- Wave Life Sciences Ltd. (NASDAQ:WVE), a biotechnology company focused on delivering transformational therapies for patients with serious, genetically-defined diseases, today announced that the U.S. Food and Drug Administration (FDA) has granted both orphan drug designation and rare pediatric disease designation for WVE-210201 for the treatment of Duchenne muscular dystrophy (DMD). The European Commission previously granted orphan drug designation for WVE-210201 in July 2018. "Our team is motivated by a sense of urgency and compassion for the patients, families and caregivers affected by Duchenne muscular dystrophy and other serious, life-threatening conditions with high areas of unmet need," said Michael Panzara, MD, MPH, Neurology Franchise Lead of Wave Life Sciences. "We are very pleased to receive these two important designations from the FDA and believe they further reinforce the potential of WVE-210201 to help boys suffering from DMD." The Orphan Drug Act provides for economic incentives to encourage the development of drugs intended to treat, diagnose or prevent rare diseases and conditions affecting fewer than 200,000 people in the United States. In determining orphan drug designation, the FDA's Office of Orphan Products Development evaluates preclinical and clinical data to identify products as promising for rare disease. If market approval is granted by the FDA for WVE-210201 for the treatment of DMD, orphan drug designation would entitle Wave to seven years of market exclusivity in the United States. Additional incentives may include tax credits related to clinical trial expenses, exemption from prescription drug user fees and FDA assistance in clinical trial design. Rare pediatric disease designation by the FDA is granted in the case of serious or life-threatening diseases affecting fewer than 200,000 people in the United States in which the serious or life-threatening manifestations are primarily in individuals 18 years of age and younger. The designation provides regulatory incentives for companies to develop and market therapies that treat these conditions. The sponsor of a drug for a rare pediatric disease may be eligible for a priority review voucher upon approval of the drug that can be used to obtain a priority review of a subsequent marketing application. "These designations from U.S. regulators represent the significant progress being made by Wave Life Sciences and our community is grateful to Wave for their ongoing commitment to the Duchenne muscular dystrophy community," said Pat Furlong, founding President and CEO of Parent Project Muscular Dystrophy. "We look forward to their exon 51 skipping program advancing and Wave's other initiatives in DMD." WVE-210201 is currently being studied in an ongoing global, multicenter, double-blind, placebo-controlled Phase 1 clinical trial designed to evaluate the safety, tolerability and plasma concentrations of single ascending doses of WVE-210201 administered intravenously in DMD patients with gene mutations amenable to exon 51 skipping. The trial is expected to enroll up to 40 patients, including ambulatory and non-ambulatory patients, between the ages of 5 and 18 years of age. As patients complete the Phase 1 trial, they have the option to enroll in an ongoing open label extension study in which they receive continued treatment with WVE-210201. WVE-210201 is an investigational stereopure oligonucleotide that has been shown to induce skipping of exon 51 of dystrophin pre-mRNA in preclinical studies and is intended for the treatment of Duchenne muscular dystrophy (DMD). Approximately 13% of DMD patients have genetic mutations that are amenable to treatment with exon 51 skipping therapy. Exon-skipping technology has the potential to induce cellular machinery to ‘skip over' a targeted exon and restore the reading frame, resulting in the production of internally truncated, but functional, dystrophin protein. Wave preclinical in vitro experiments using gymnotic delivery (free uptake) of WVE-210201 in DMD patient-derived myoblasts demonstrated efficient exon 51 skipping and dystrophin protein restoration. Preclinical Western blot studies of WVE-210201 demonstrated 52% dystrophin protein restoration as compared with normal skeletal muscle tissue lysates. Wave Life Sciences is a biotechnology company focused on delivering transformational therapies for patients with serious, genetically-defined diseases. Its chemistry platform enables the creation of highly specific, well characterized oligonucleotides designed to deliver superior efficacy and safety across multiple therapeutic modalities. The company's pipeline is initially focused on neurological disorders and extends across several other therapeutic areas. For more information, please visit www.wavelifesciences.com.